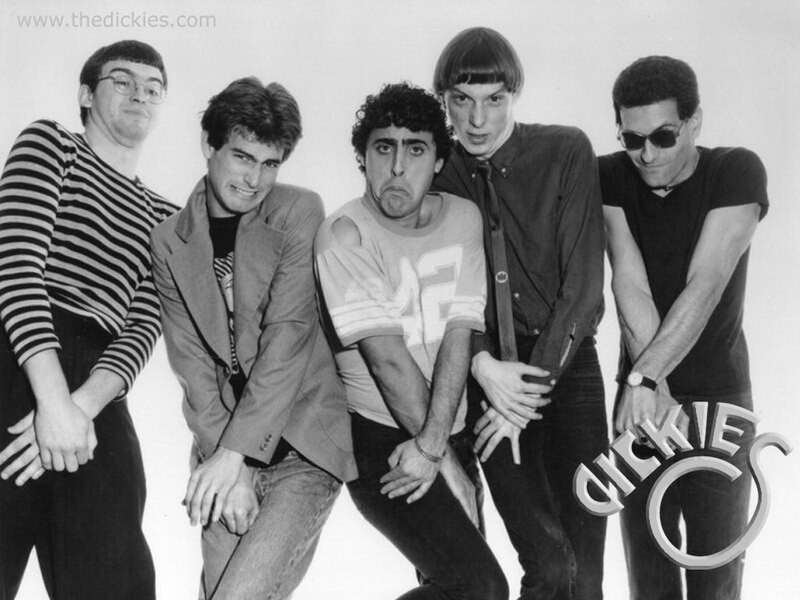 Here is a Wacky Wednesday salute to some true punk rock survivors and all around funny guys: The Dickies. This group -- fronted for decades by warbling singer Leonard Graves Phillips and guitarist Stan Lee (no, not that Stan Lee) -- the group, which formed in 1977, is one of the longest-running punk bands from Los Angeles. They have plenty of original songs, many of which, like "Bowling With Bed Rock Barney," "You Drive Me Ape, You Big Gorilla," and "Manny, Moe & Jack." But some of their most hilarious are their cover songs. I'll let the band make that argument. The Dickies wrote and performed the theme song to the movie Killer Klowns from Outer Space and they write an ode to another tacky '80s flick The Toxic Avenger. But probably their first foray into themes from bad sci-fi was their cover of the theme to Gigantor, a 1960s cartoon about a robot. The Dickies are one of the few punk bands to attempt a Simon & Garfunkel song. Tip of the hat to my pal Chuck, who back in the '80s turned me on to The Dickies' album We Aren't the World. I've never recovered.